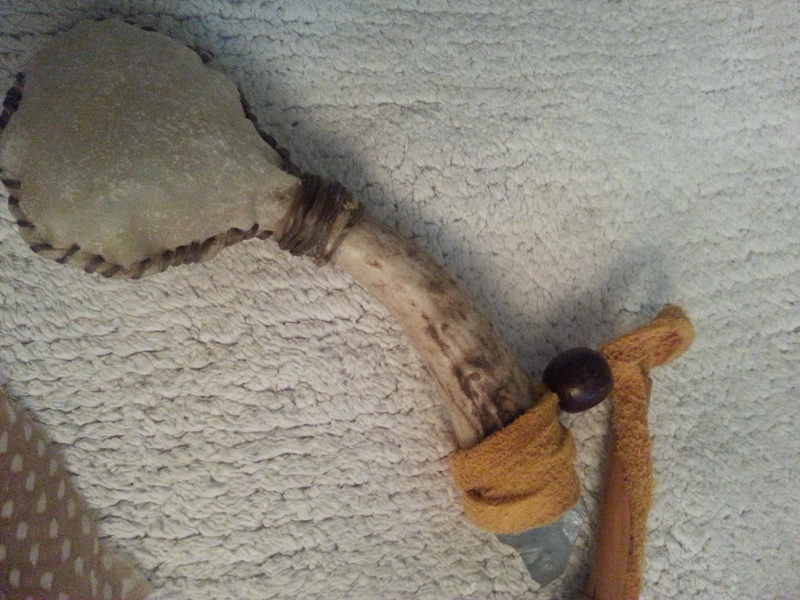 I got myself some rawhide and have been loving working with it. 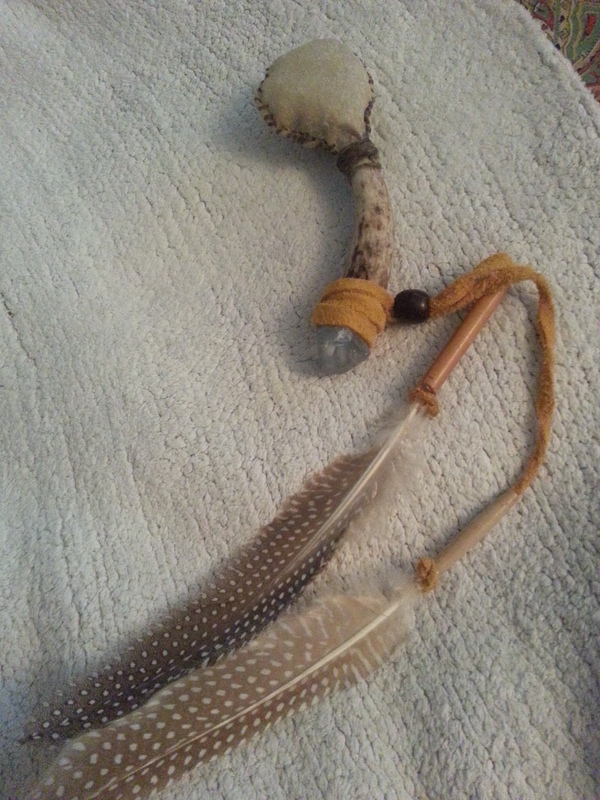 Here is a rawhide rattle I made with a deer antler handle, a blue celestine crystal, and guinea fowl feathers. I have been living out of cardboard boxes for almost a year now. Not due to laziness, but because this is a temporary home and our moving day always seems just over the horizon. Mostly we are organized, but somehow I have lost my vast collection of leather pouches and crystals. 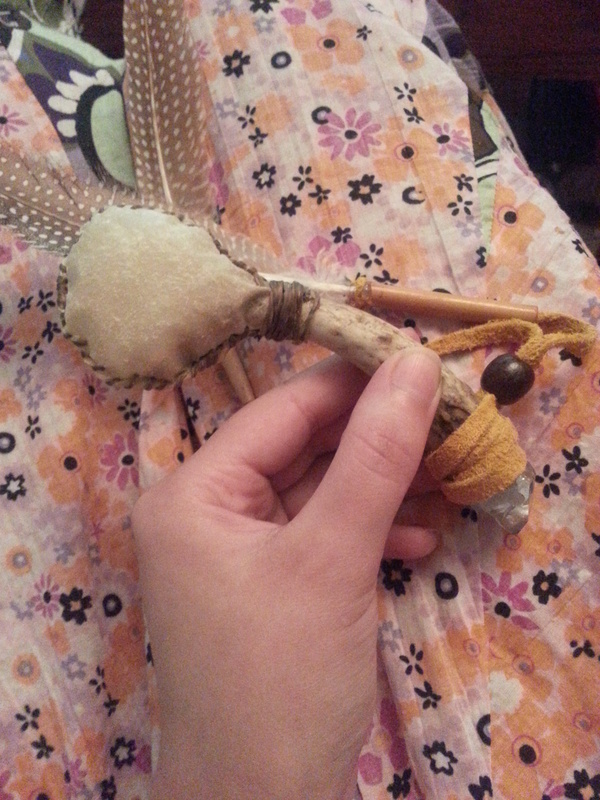 To feel better about this, I found my drum, but I cannot drum much where I am, due to noise issues. My drum is a spiritual being in itself so just having it near me helps. 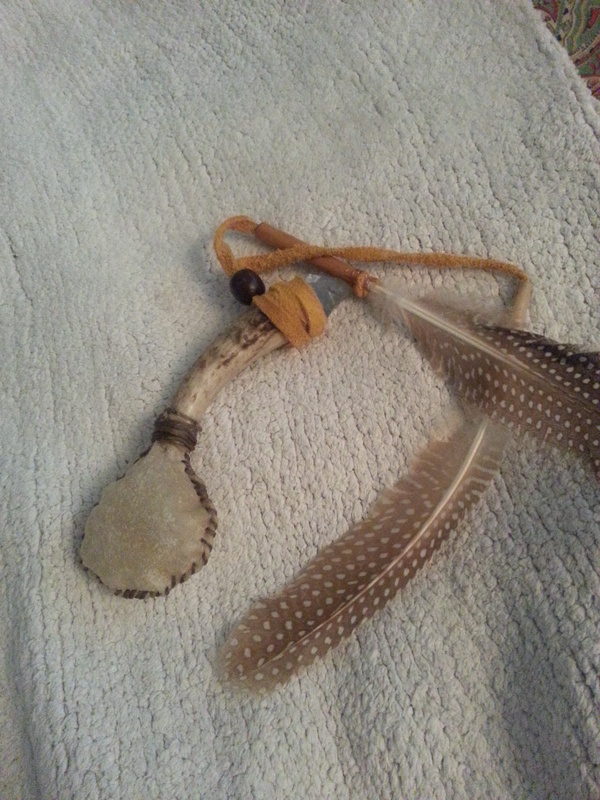 It travels beyond its resting place no matter where I put it; I cannot count the times I have found it somewhere other than where I put it. I think I am gaining spiritual ground even though I feel lost; I believe that most times we all feel lost anyway. I walk my path without knowing where my feet will end up next. I have recently seen a fawn in the wild — my first sighting of a baby deer. I breathed with it and felt the beating of its heart. I recently played Dead Can Dance loudly enough that the bass jumped in my chest, as if my heart was beating with it. It is enough, more than enough, and I continue on, blindly answering some silent call.